It seems we have not so far done a very good job of helping people figure out which connector is which, so this is a handy guide to help you figure out which antenna connector you need! BNC connectors are common on older radios, often referred to as “bricks”. They are also found on some newer radios such as the Icom V80. 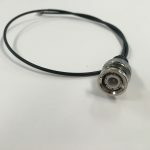 They are a larger connector, but due to the handy “twist and lock” mechanism they are very quick to put on and take off. 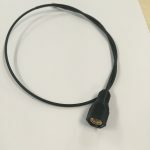 Some people get adapters for their other radios so that all their radios can use BNC, primarily so that they can easily change between the connector types. Before going over the specifics of SMA-F and SMA-M, note that the polarity is determined by the pin — the connector with a pin is male, the one with a socket is female. This causes a lot of confusion with people who figure the one with threads on the outside would be male, but that one has a socket and is SMA-Female. 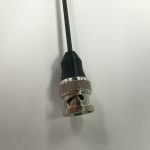 SMA-Female connectors were very rarely seen on antennas until the last few years (2014 or so) when many Chinese manufacturers began manufacturing inexpensive radios capable of operating on amateur radio frequencies. 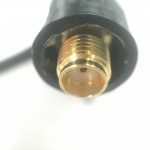 There are a lot of debates as to how good those radios are but most of them require antennas with an SMA-Female connector. There are also some Motorola and Kenwood radios that we know of which require SMA-F antennas, and there may be others that we are unaware of. It is worth noting that this is *not* the same connector as a Reverse Polarity SMA, often abbreviated RP-SMA; that has the pin and socket switched from standard and will not fit your radio. 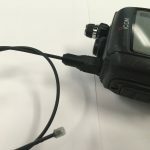 We’ve often seen these called “Reverse SMA” which is semi-accurate since historically most ham radios with an SMA antenna required SMA-Male on the antenna, but it is far too easily confused with RP-SMA and we recommend strongly against using the terminology. 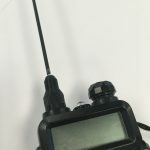 A radio with an SMA-Male connector on it requires a SMA-Female antenna. 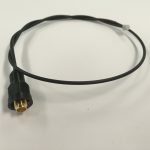 SMA-Male connectors are needed by most radios produced by the more “traditional” Amateur Radio manufacturers; nearly all Icom and Yaesu handhelds require an antenna with a SMA-Male connector on it, as do many other brands. A radio with an SMA-Female connector on it requires a SMA-Male antenna.